This canvas is a fine quality, triple acrylic primed 380gsm cotton canvas. Suitable for use with oils and acrylics. 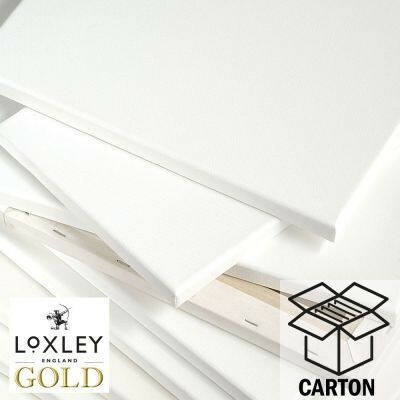 Canvases are individually polywrapped. 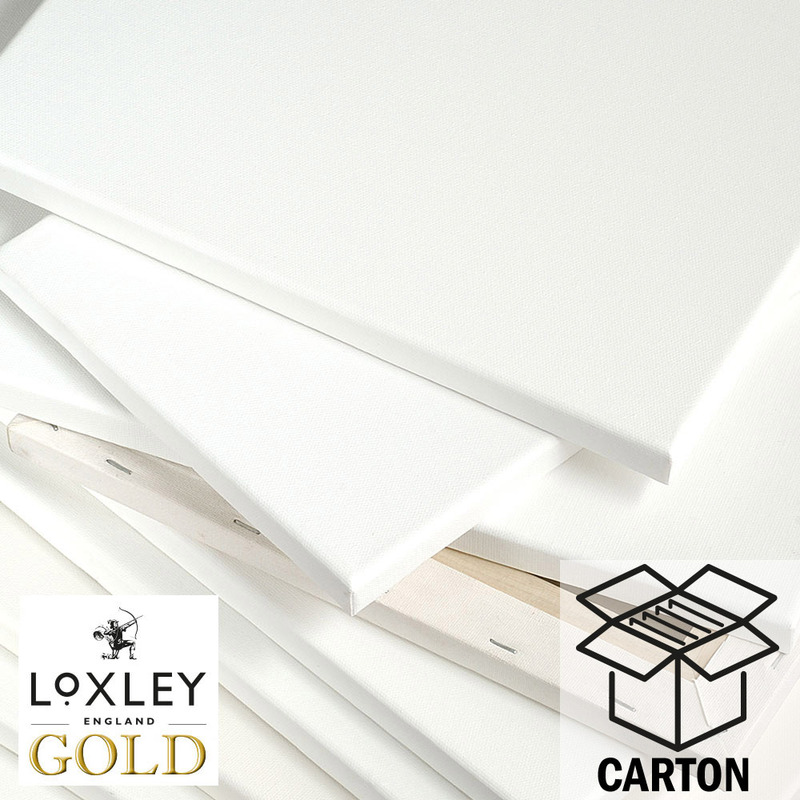 The number of canvases in the carton is show in brackets after the size. Most of my dealings with Loxley canvases has been with their panoramic (maritime) ones (36" x 14" etc). I had used these in the past (4 years ago) and found them a good canvas to use. However I recently came back to painting privately after being a resident artist for 4 years. Naturally I started to paint the types of paintings that I enjoyed doing and so needed to restock with new canvases. So of course I came back to the canvases I used to use and ordered some 36"x14" ones. The order was delivered very quickly and on first (quick) inspection the canvases looked ok. It was only when I came to use them that I found 1 of the canvases (out of the 5 in the order) was totally beyond useage. It was suffering from several faults. a large ridge mark approx 12" long. a damaged stretcher bar which meant that the edge was sunken in that area. a 2" scruff mark close to one of the edges. the staples had been fired into the canvas so hard on one side that they had actually gone through the canvas. Most of these faults had been hidden below the label which clearly showed the damage had been done during manufacture. As for the other 4 canvases in the box they were fine and did not have any twisting in them at all. When I emailed Ken Bromleys sales dept about the poor one they dealt with the enquiry very quickly and in a very efficient manner.